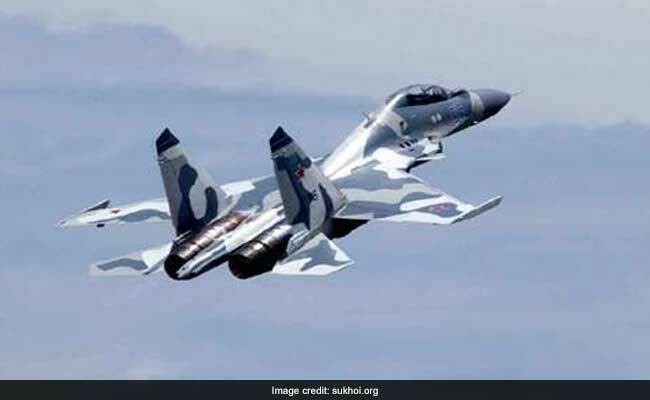 Two Chinese SU-30 aircraft carried out what the U.S. military described on Thursday as an "unprofessional" intercept of a U.S. aircraft designed to detect radiation while it was flying in international airspace over the East China Sea. "The issue is being addressed with China through appropriate diplomatic and military channels," said Air Force spokeswoman Lieutenant Colonel Lori Hodge. Hodge said the U.S. characterization of the incident was based on initial reports from the U.S. aircrew aboard the WC-135 Constant Phoenix aircraft "due to the maneuvers by the Chinese pilot, as well as the speeds and proximity of both aircraft." "Distances always have a bearing on how we characterize interactions," Hodge said, adding a U.S. military investigation into the intercept was underway. She said the WC-135 was carrying out a routine mission at the time and was operating in accordance with international law. On Feb. 8, a U.S. Navy P-3 spy plane and a Chinese military aircraft came close to each other over the South China Sea in an incident the Navy saw as unsafe but also inadvertent. Reuters reported at the time that the aircraft came within 1,000 feet (305 meters) of each other in the vicinity of the Scarborough Shoal, between the Philippines and the Chinese mainland.